A spike in gang gunfire around the Uptown neighborhood that started with a double-shooting on March 19th continued on Saturday evening. No one was injured, but a vehicle was damaged, and the driver of that car crashed into several parked cars as he tried to escape, according to witnesses and police. Shortly after 5 p.m., witnesses reported hearing ten to fifteen shots fired near a discount store’s parking lot in the 900 block of West Agatite. A lone gunman opened fire on a black Infinity or BMW that crashed into three parked cars before speeding from the scene, bystanders said. 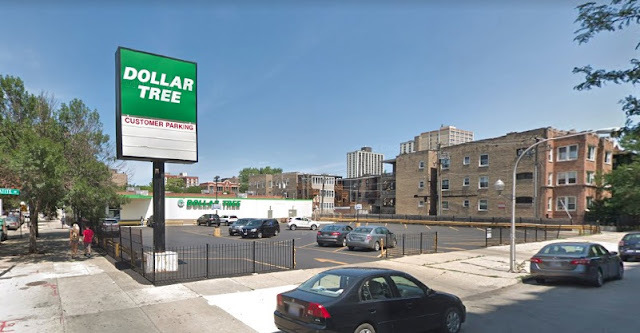 Shell casings were recovered from the parking lot at Dollar Tree, 4443 North Sheridan Road. The gunman is believed to be a black male teen who was wearing a black jacket with red sleeves, according to an officer on the scene. A witness said the shooter ran northbound in the alley at the back of the parking lot. More than an hour after the shots were fired, a man told police in Rogers Park that his vehicle received gunshot damage in the incident. That man is a known gang member, according to a CPD source. Saturday’s incident was the latest in a series of shootings and gunfire in Uptown since two men were shot in the 1000 block of West Argyle on March 19th.